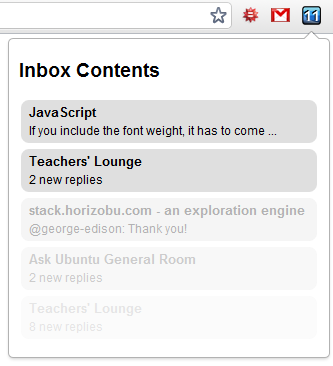 What better way to keep an eye on your inbox than with a Chrome extension? Now you can tell at a glance how many items are in your inbox without worrying about having a tab open to a Stack Exchange site. Any platform that runs Google Chrome or Chromium. EDIT: Implemented using Web Sockets (because the caching characteristics of the API does not allow real-time notifications). I created a Chrome extension and Firefox add-on, and created a Stack Apps listing at Real-time desktop notifications for Stack Exchange inbox. In Google Chrome, the popup is closed when performing an action outside it (clicking, navigating, ...). 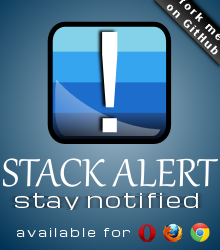 Can you implement Desktop Notifications in the Google Chrome extension (sample code 1, sample 2)? 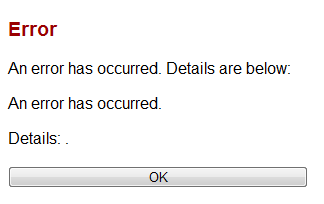 Bug: When the error popup is displayed, no error is displayed (only a . ), and clicking the Ok button does not dismiss the popup box. Bug: You didn't escape the title's HTML. I've been using this plugin for a long time, just noticed it today. 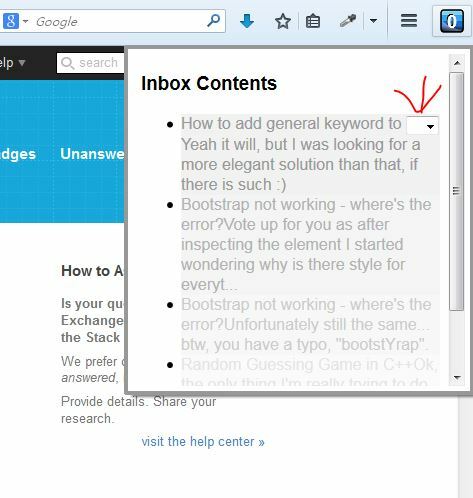 The title was "How to add general keyword to <select> ..." I think it will break too on other tags. I think you should make a fix. Not the answer you're looking for? Browse other questions tagged app api-v2 chrome-extensions google-chrome .